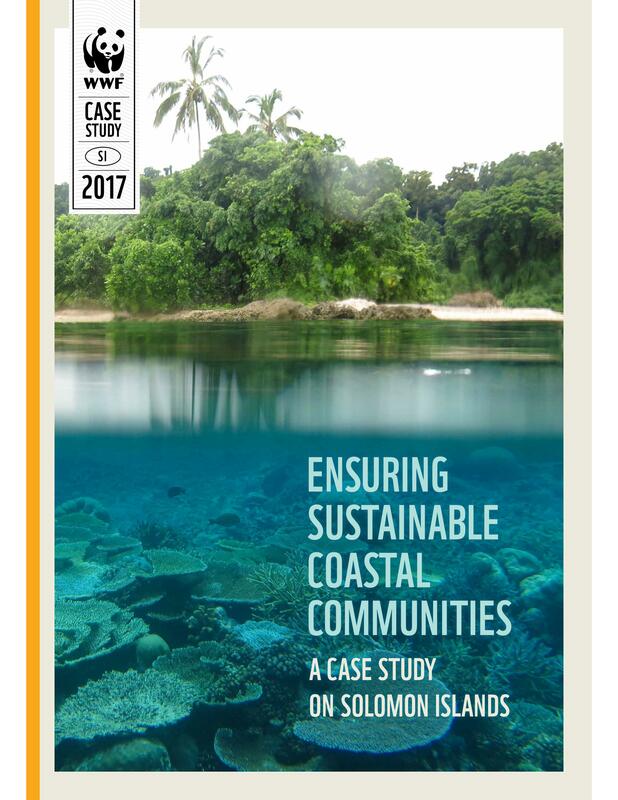 The Ensuring Sustainable Coastal Communities: A Case Study on Solomon Islands was presented at the UN Ocean Conference in 2017. This report analyses WWF's mission in the Solomon Islands to manage the natural resources of Solomon Islands and ensure food security, livelihoods and a sustainable environment. The recent history of the programme is examined and experience and lessons learned from implementation of its Sustainable Coastal Communities strategy is examined.